When I bought my first "real" camera I remember feeling unsure of my purchase. I recall reading reviews online with each review more telling of the next review or filled with perplexities in which I would only come to understand after years of experience behind the viewfinder. In other words, what should I buy? What do I need? What should I bring with me on this adventure? Would I end up buying the "right" camera for me? Which lenses do I need? Body only? What tripod do I need for this genre of photography? I had no idea. As time went on I started noticing small things in my images that I felt could be fixed with better gear. So, I traded in my kits lens (standard 18-55mm lens) for a shiny new 17-50mm f/2.8 lens. This lens started me on the right path, but it was not enough to fix my future endeavors. We start hobbies using low end equipment because we are unsure of how the experiment is going to turn out. I feel the rational train of thought is, "If I don't like it at least I wasn't that invested in it." It's a smart financial move on your end in case things go south. I recommend anyone considering jumping into the hobby of photography to use that same train of thought. Start cheap, buy used, and spend more time learning how to use your camera. I keep two camera bodies in my backpack. I use a Nikon D610 (full-frame sensor) and a Sony A6000 (crop sensor/mirrorless.) The Sony A6000 is a great lightweight camera with a lot of power. I also use a Pentax K-5 as a back-up to both of those cameras that my wife uses when we travel. It currently houses my telephoto lens and my fish-eye lens so I consider this camera my specialty camera. I also have a GoPro Hero 4 Silver that I use for video. I love that it is waterproof, and that I can fit in my bag without thinking of how much space it will consume. I keep a wide-angle Nikkor 16-35 f/3.5 lens (my pride and joy) and a Nikkor 50 f/1.8 lens. I also carry a 19mm f/2.8 Sigma lens for my Sony A6000. I have a 17-50mm f/2.8, 10-17mm f/3.5-4.6 fish-eye, and a 50-200mm f/4.0 telephoto lens that I use with my Pentax and Sony. I have a Pentax K mount to Sony mount converter so that I can use my Pentax lenses manually on the Sony A6000. I keep a standard Polarizer, B+W 10 stop Neutral Density Filter (10 stopper), Lee 5 Stop Neutral Density Filter, and a Lee 3 stop soft-grad Neutral Density Filter. I also use an Induro Carbon Fiber Tripod, Feisol Carbon Fiber Ballhead with Arco-Swiss plates. I have Sunway photo L-plates for both my Nikon D610 and my Sony A6000 for quick landscape/portrait exchanges. Spare batteries, memory cards, and various tools. I also keep a rain coat for my camera and lens. I mean what do you actually need to kick start your bid to becoming a photographer or a hobbyist? What do you need to become a fine-art photographer? The main three items are a camera, lens, and tripod. The variants of which depends on the individual, the genre of photography, and the dreaded budget. Yes, the dreaded budget! Photography is an expensive start-up. Here is what I recommend purchasing or getting your hands on after you have made the sound decision of continuing your hands at photography. Decent Camera: I suggest full-frame if you have the budget. 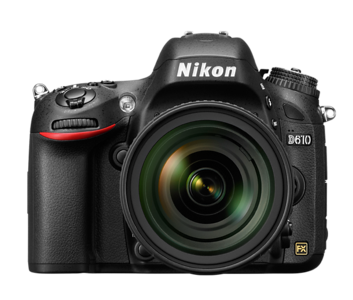 DSLR or Mirrorless? Micro-thirds? That's a decision solely based on your preferences. A few years ago I would have said to invest in a full-frame DSLR, but now the mirrorless camera market is taking off to new heights. Final Thoughts: Sony A6000 (body only) is cheap and has tons of great features for any beginner. Lenses: Buy quality lenses. Find your niche and you'll find your lens. I consider myself a cityscape/landscape photographer so wide-angled lenses are number one in my arsenal. Lenses typically retain their value in case you ever feel the need to sell. Final Thoughts: Check KEH for used lenses. But, don't skimp out on quality glass! Tripod: This is based on your genre of photography. I suggest something light, but sturdy. I also suggest buying a ballhead with arco-swiss compatible plates. Extra Batteries: This is self-explanatory. Memory Cards: Get the good stuff. High capacity and high write speeds. Backpack/Bag: Invest in a solid bag of some sort to keep your gear. I have a backpack and an over-the-shoulder bag that I use interchangeably. I suggest something that has enough room to carry multiple lenses and excess gear like filters, batteries, and a laptop. Other things worth mentioning are filters, memory card readers, and processing hardware such as PC's and laptops. I'll leave those items in the hands of the ever-willing internet reviewers. I use the following software: Adobe CC for photographers (Lightroom and Photoshop) $9.99/month. I use the following plug-ins for Lightroom and Photoshop: NIK, Topaz Adjust, and Tony Kuyper's TK Action set.